Hassan Lakkis, a senior commander of the Lebanese Shia militant group Hezbollah, has been killed near Beirut, the group says. Hassan Lakkis was “assassinated” near his home in Hadath – 4.3 miles south-east of the Lebanese capital, Hezbollah TV channel Al-Manar said. Hezbollah blamed Israel for his death but Israel denies the accusation. 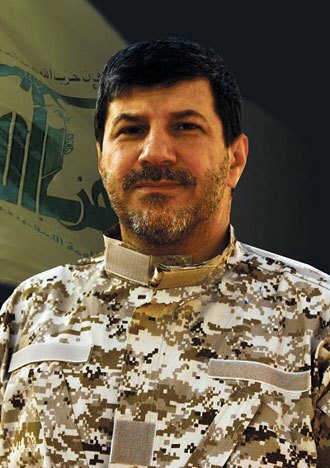 Little is known publicly about Hassan Lakkis, but he was reputedly close to Hezbollah leader Hassan Nasrallah. The news comes a day after Hassan Nasrallah said Saudi Arabia was behind last month’s bombings outside the Iranian embassy in Beirut. Iran is a major backer of Hezbollah, which has sent fighters to Syria to back the government of Bashar al-Assad. The conflict in Syria has increased sectarian tensions in its smaller neighbor. A statement issued by Hezbollah on Wednesday said Hassan Lakkis was killed as he returned home from work around midnight. The group said Israel had tried to kill him several times previously, but had failed. Lebanese security officials said assailants lying in wait opened fire on Hassan Lakkis with an assault rifle while he was in his car, according to the Associated Press news agency. He was attacked in the car park of the building where he lived and was taken to a nearby hospital but died early Wednesday, the unnamed officials were quoted as saying. “These automatic accusations are an innate reflex with Hezbollah,” Israeli foreign ministry spokesman Yigal Palmor said. Hezbollah – or the Party of God – is a powerful political and military organization in Lebanon made up mainly of Shia Muslims. The organization emerged with financial backing from Iran in the early 1980s and began a struggle to drive Israeli troops from Lebanon. Hezbollah fought a destructive 34-day war with Israel following the capture of two Israeli soldiers in 2006. The group said that one of Hassan Lakkis’s sons had been killed fighting Israel in the 2006 conflict.